Google [Goog] recently launched their Nexus One Android mobile phone in the US, and now it looks like the rest of us in Europe will shortly be getting our hands on the Google ‘Superphone’. Engadget are reporting that Vodafone have confirmed that the Google Nexus One will be available in the UK within a couple of weeks, and then the rest of Europe including, France and Germany later in the year. The Google Nexus one is a Google Android smartphone, made by HTC, and it comes with Google’s latest version of their Android OS 2.1, which has a range of features, and a 3D framework. It features a 1GHZ Qualcomm Snapdragon processor, a 3.7 inch AMOLED touchscreen with a resolution of 480 x 800, and a five megapixel camera with an LED flash. 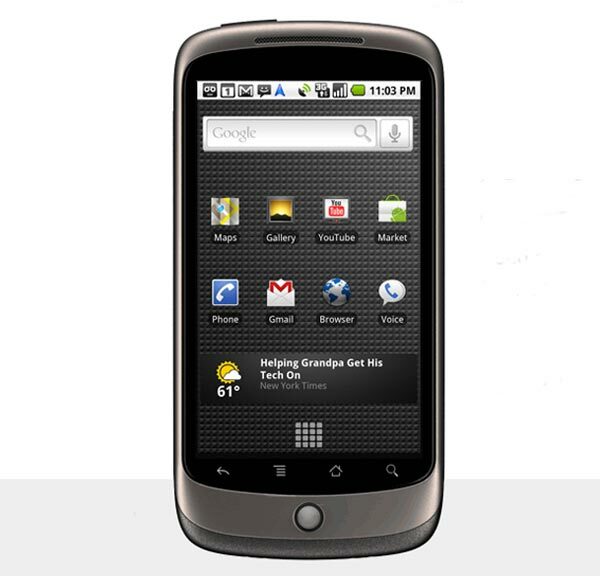 There are no details on how much the Google Nexus One will cost in the UK with a Vodafone contract, we will keep you updated as soon as we find out the exact pricing and availability details.